‘Tis party season. And why not pick out one gourmet food item each time you’re at the grocery store in anticipation of these food-filled soirees? This way, you’ll always have perfect hostess gifts at the ready. 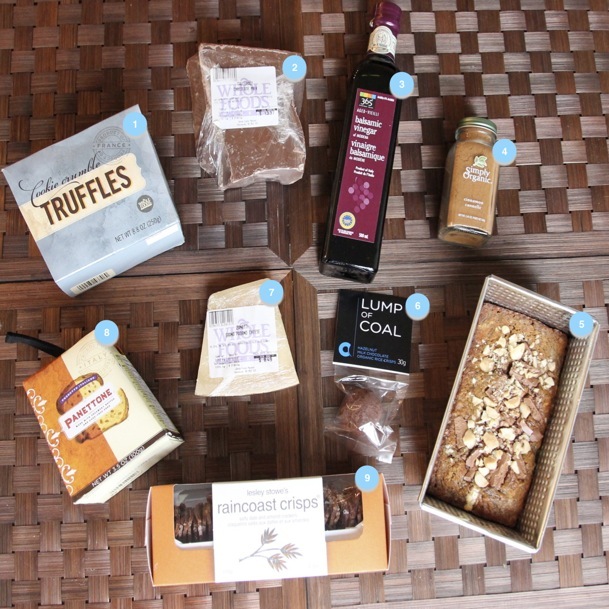 I stocked up on these items at the recent 1st Annual Whole Foods Holiday Hunt, a fun, competitive event that had several members of Vancouver’s food community racing the aisles to collect the items on their shopping list. Think Supermarket Sweep. Cassandra Anderton finished first, although due to a tiny mistake regarding one of her items, the first place title was passed on to me. 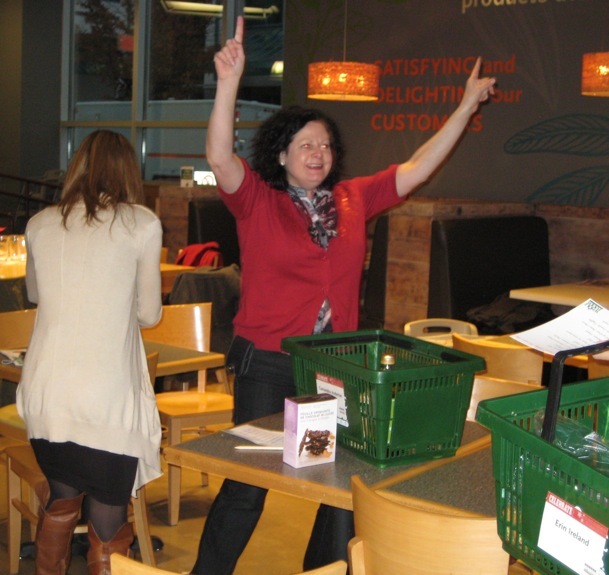 Thank you so much to Whole Foods for donating $1000 to the Greater Vancouver Food Bank in my name. It was an honor. Check the full online catering menu here. Whole Foods will also be serving Christmas dinner until December 23rd: Choose from an All Natural J.D. Farms Turkey or Organic Lady Bug Manor Turkey brined, Traditional Thanksgiving Dinner with All-White Meat Turkey Breast, Vegan Wild Rice Cranberry and Fig Roast En Croute, or Spiral Cut Honey Glazed Ham Dinner. Sides include fresh green beans amandine, mashed potatoes, savory herb stuffing, apricot-glazed sweet potatoes, brussel sprouts with shallots and pecans, wild rice stuffed acorn squash and more. 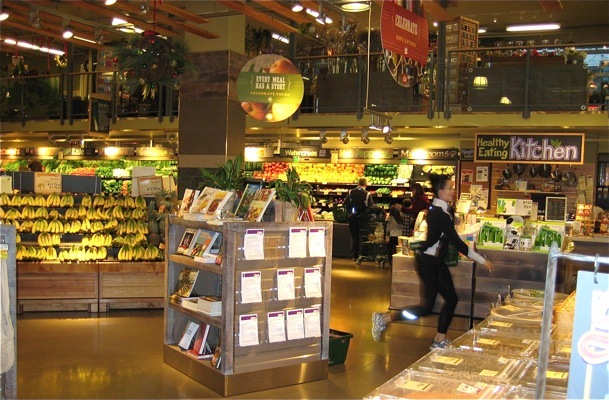 You can follow Whole Foods on Twitter here. See you in the aisles. Ciao for now & merry Christmas!